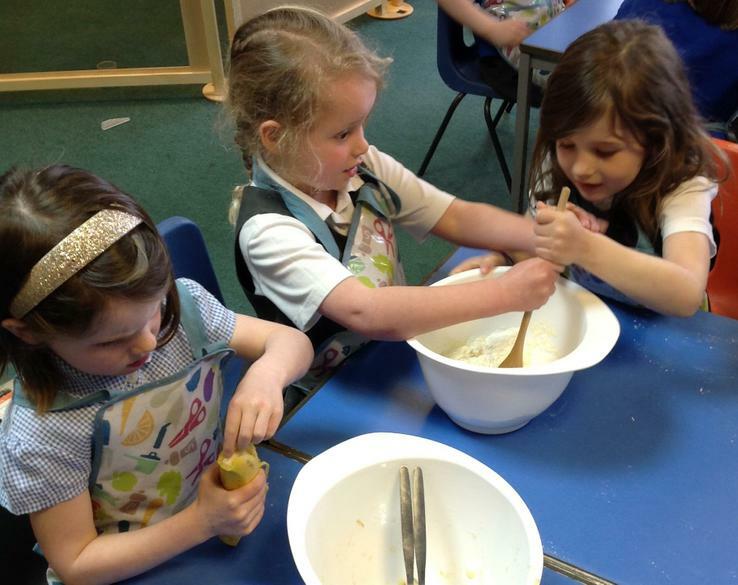 Buzzards is the Reception class at Kilmersdon and the final year of the EYFS (Early Years Foundation Stage). 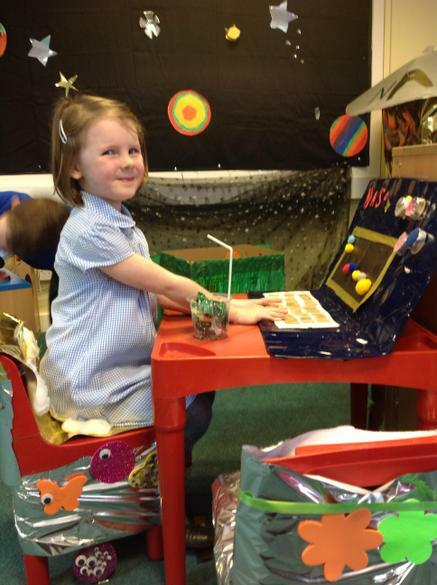 The reception year is a significant year of school, for both our children and parents as it forms the foundation of your child's primary education. 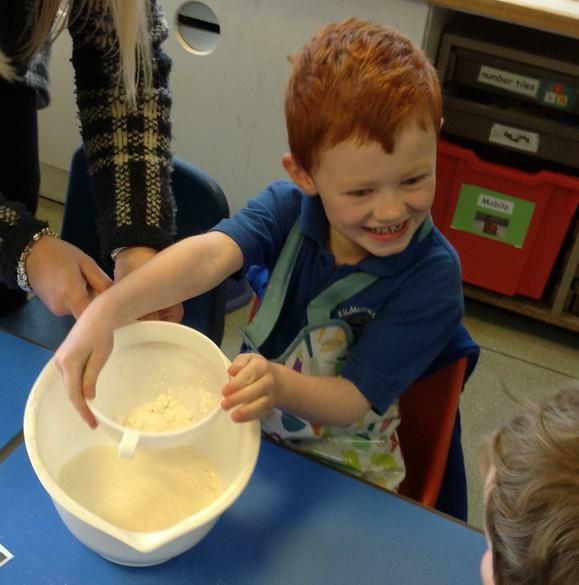 At Kilmersdon we offer a mix of adult and child-led learning. 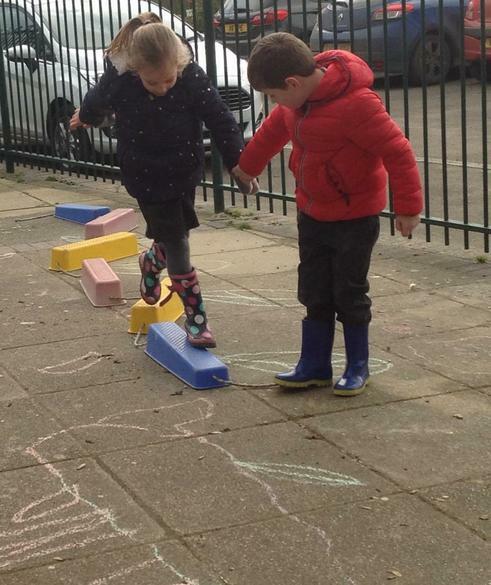 Lots of our learning is through play, where the children can develop their personal, social and emotional skills. 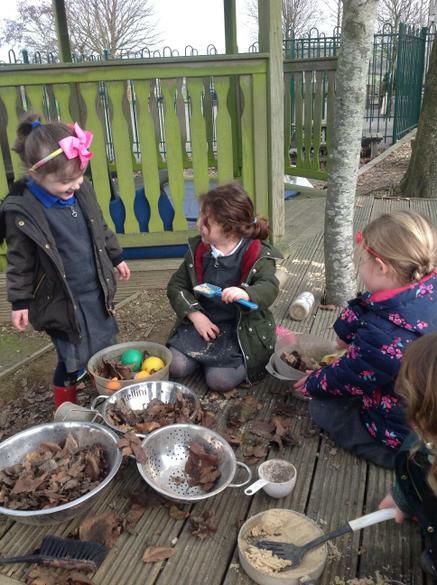 They learn to investigate the world around them both physically and imaginatively. 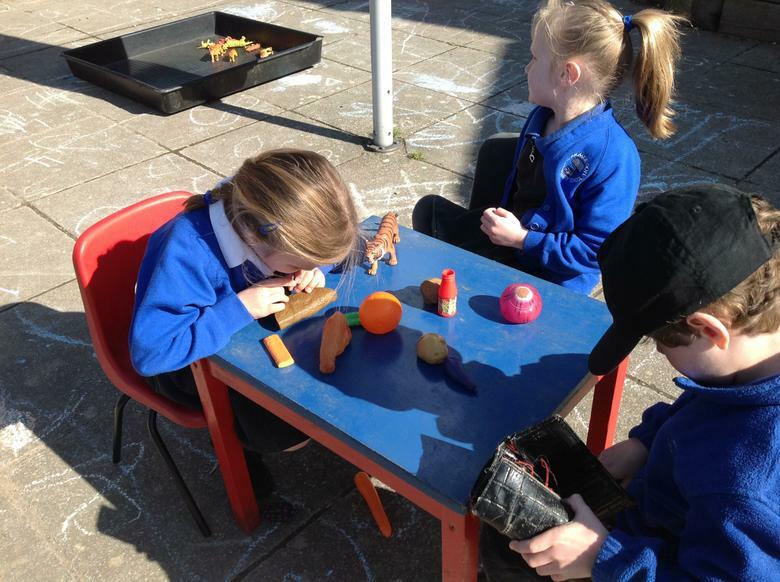 The children benefit from having their own outdoor learning space where they can explore, imagine and create together. Reading is at the heart of Buzzard life; listening to stories and rhymes feeds children’s imagination and builds their vocabulary. Daily Read Write Inc sessions introduce children to phonics to help them develop reading and writing in a fun and engaging way. Much of our maths is practical and encourages questioning and exploration as well as introducing key concepts through a range of resources. This helps the children to develop a solid understanding of number and other mathematical concepts in an active and enjoyable way. 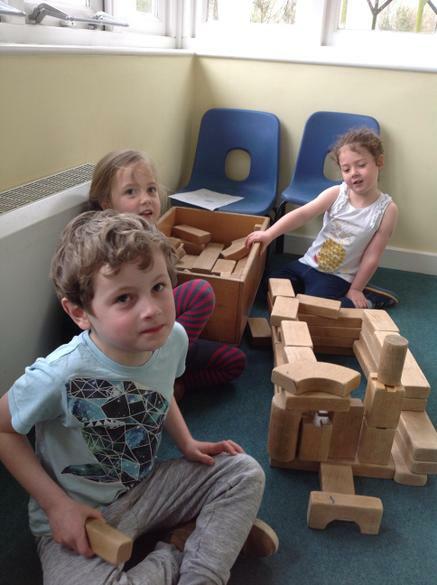 We worked in groups to design and build castles from wooden blocks, this tested our communication, problem solving and teamwork skills. 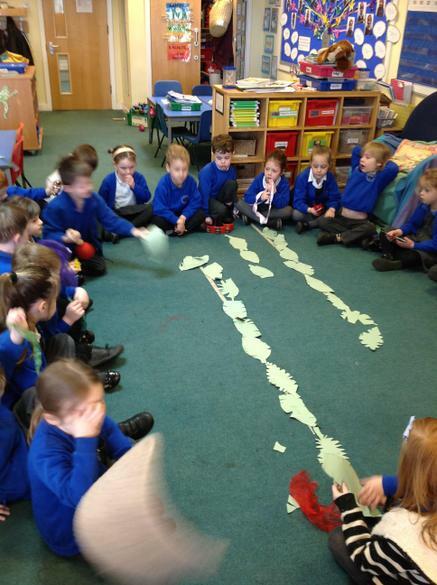 We acted out Palm Sunday. 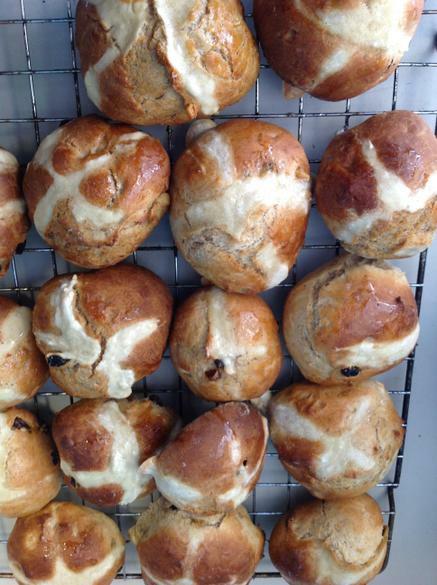 We had a wonderful day making Hot Cross Buns which were yummy! 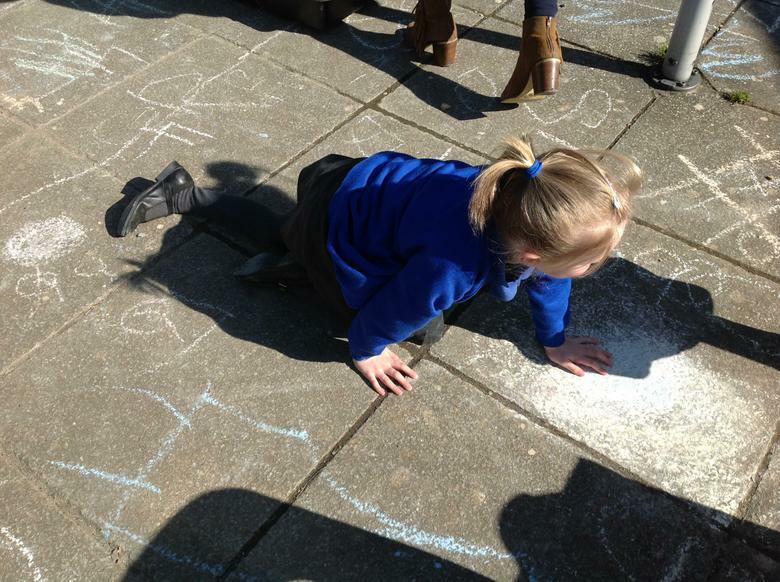 We have been reading 'The Tiger Who Came to Tea', we acted out the story and explored it in our outdoor play. 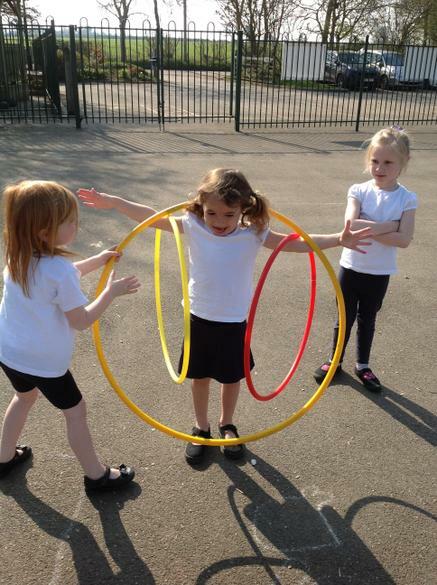 We had fun in our PE session where we found lots of ways to use the hula hoops! 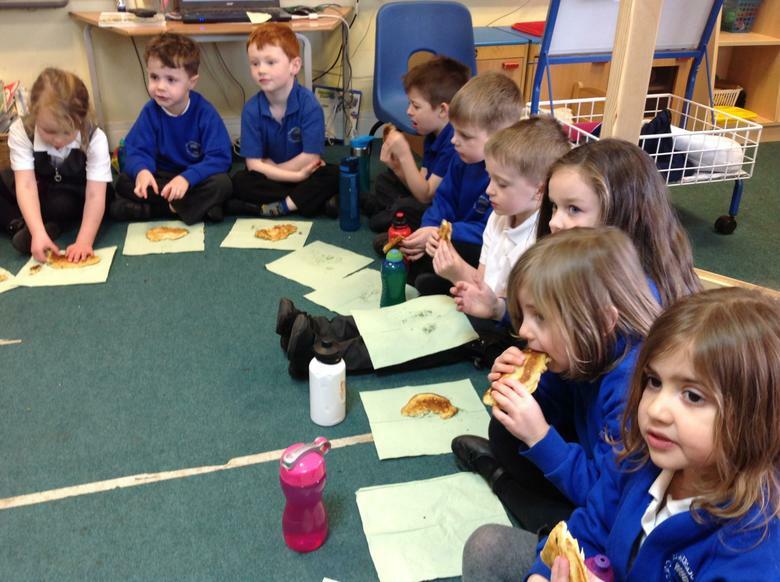 Today we had great fun making banana pancakes which we enjoyed at snack time. 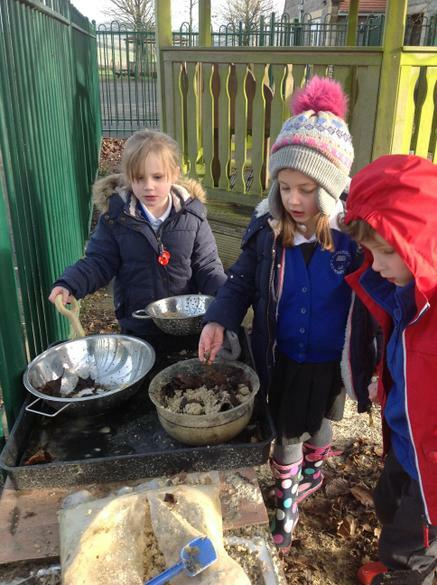 We worked in groups to make the mix and they were cooked for us whilst we were playing outside. 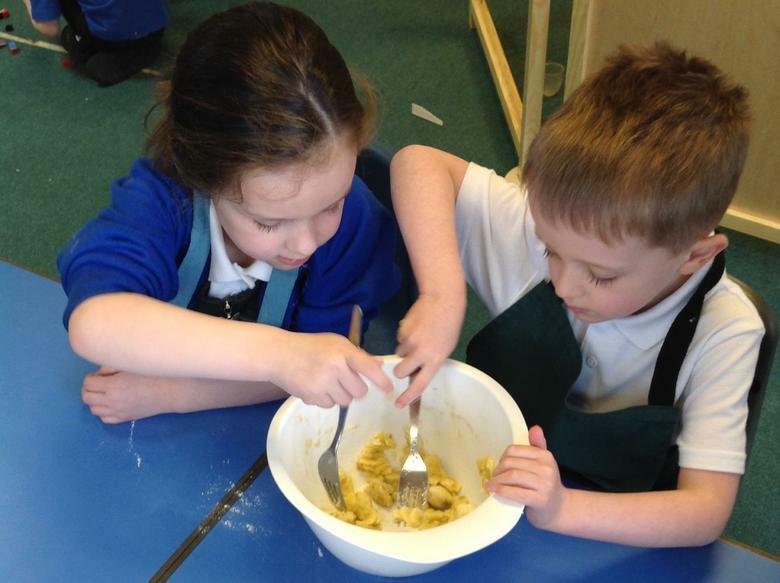 Here is what some of the children said as they ate them... "Tastes like banana chocolate cake", "Tastes like carbonara! 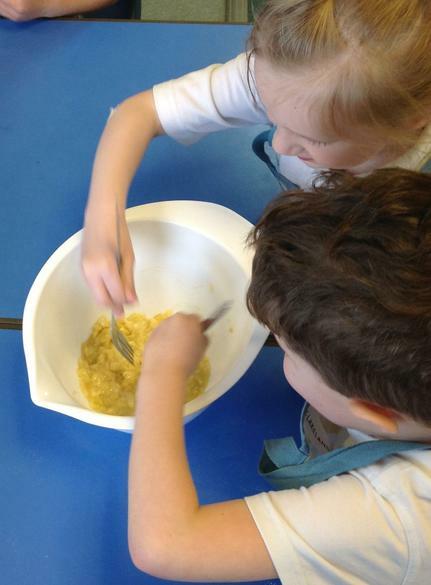 ", "Tastes like golden syrup and banana", "Yummy". We thought about what they felt like too: "Squishy", "Soft", "Warm", "Floppy". 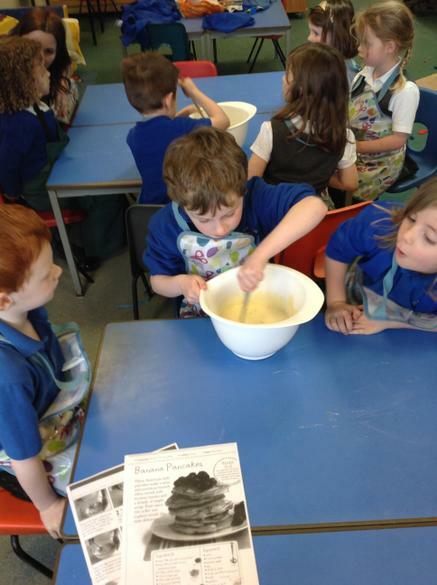 The children helped write instructions and then had a go at writing about pancakes in their own books. 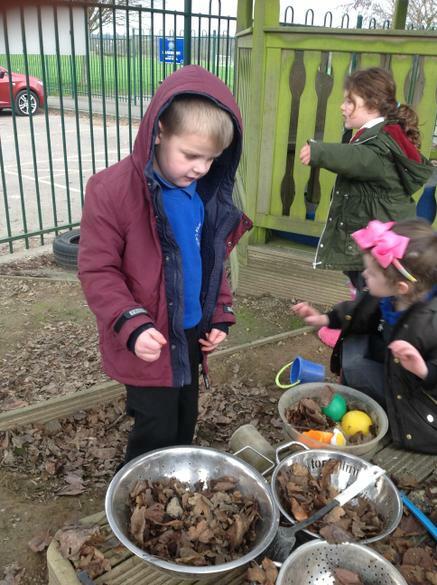 We have had lots of fun in our outdoor area - we have been working as archaeologists and discovered a range of 'dinosaur bones'! 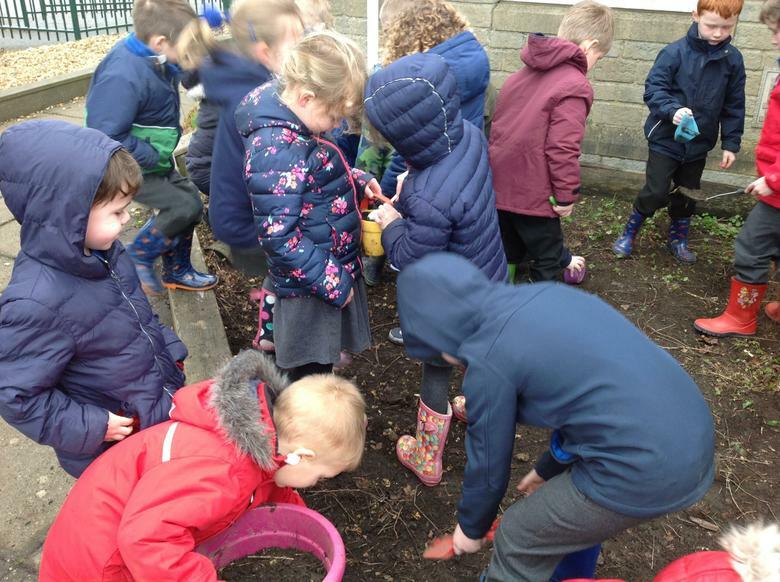 We have also planted some daffodils and thought about what they need to grow. Jack and the Beanstalk fun! 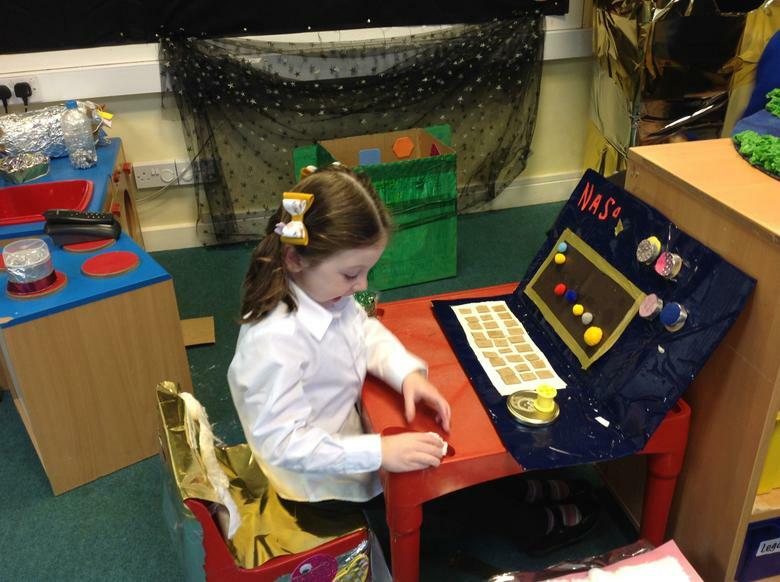 The children have been busy using their phonics to read and write. They are working well together during their child initiated learning to problem solve. 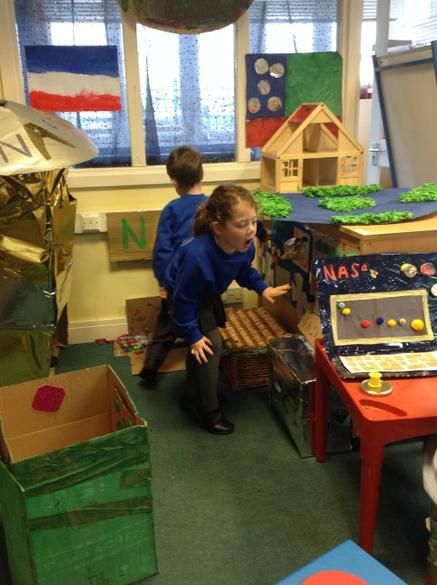 We have had a busy time preparing for our Nativity 'A King is Born'. 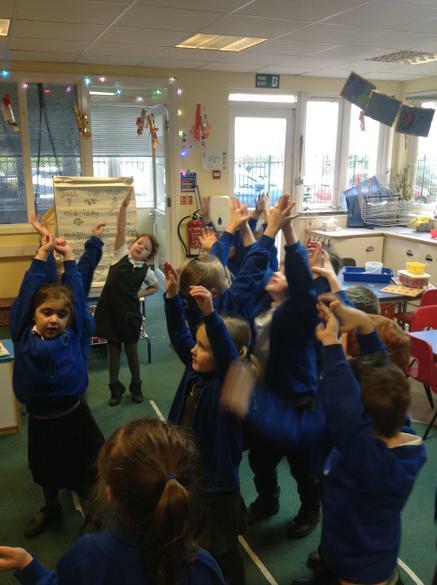 The children did an amazing performance this morning, they said their lines confidently and sang enthusiastically. Well done Buzzard class! This week we have been singing our Nativity songs with actions and have had a think about how our play will work on the stage. We are learning how to represent numbers in different ways for example using numerals, objects, tally, tens frames, Numicon and our fingers. 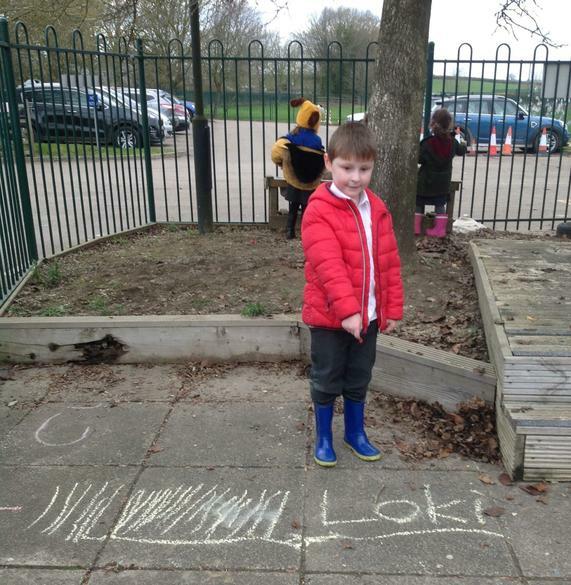 We are working hard to form our letters correctly so that we can use them in our writing. By the end of this week we will have been taught all of the Set 1 sounds. 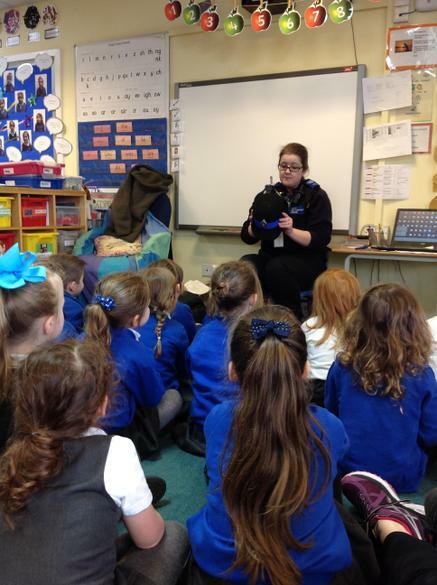 Last week we enjoyed learning about fire safety from a fireman who came to talk to us. 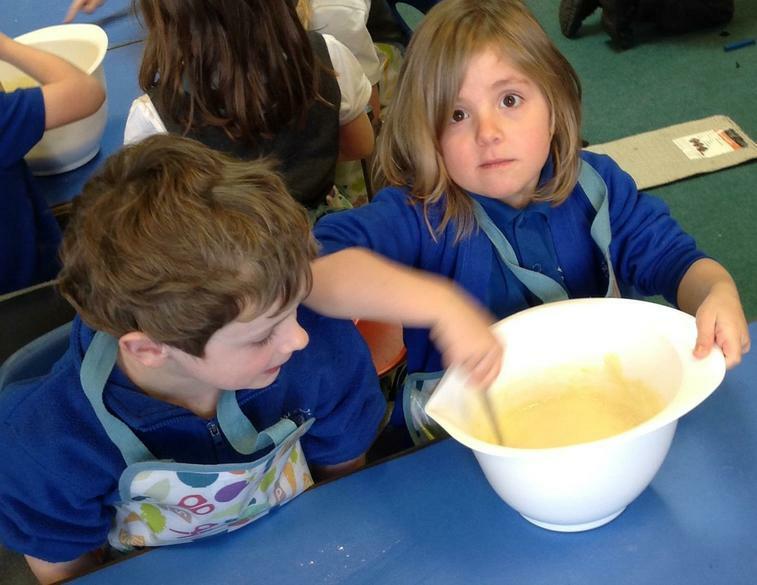 We have had a lovely first week back and the children are refreshed after their half term break. 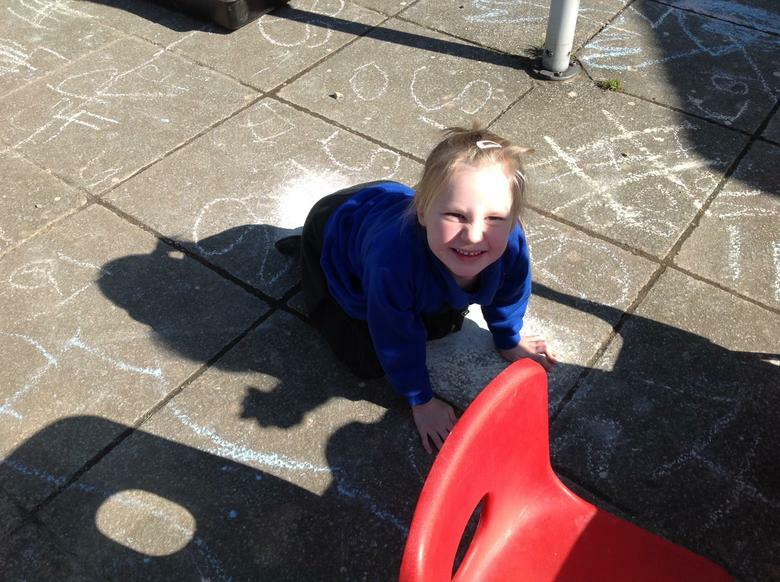 The children are working really hard with their sounds and trying hard to blend them together to read. 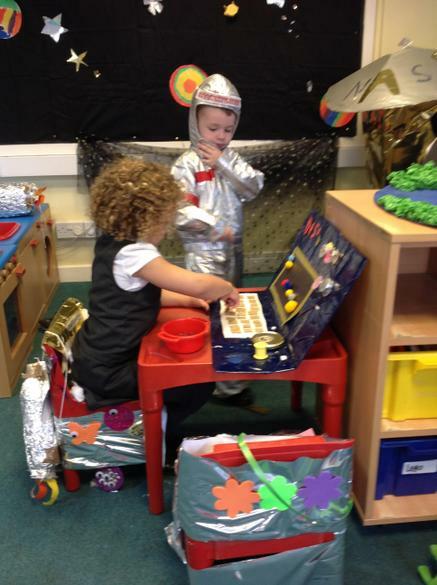 The new Space themed role play area is giving the child lots of opportunities to explore and use their imagination. 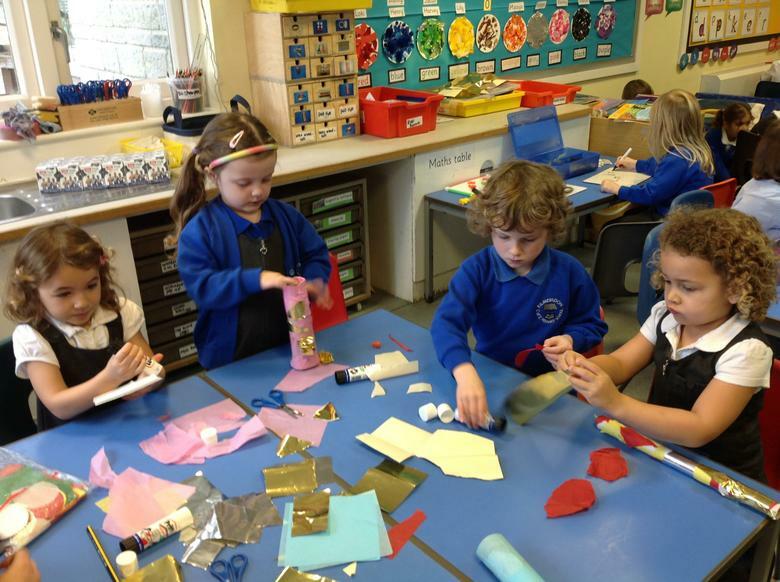 The children worked with a partner using their collaborative skills to design and make rockets. 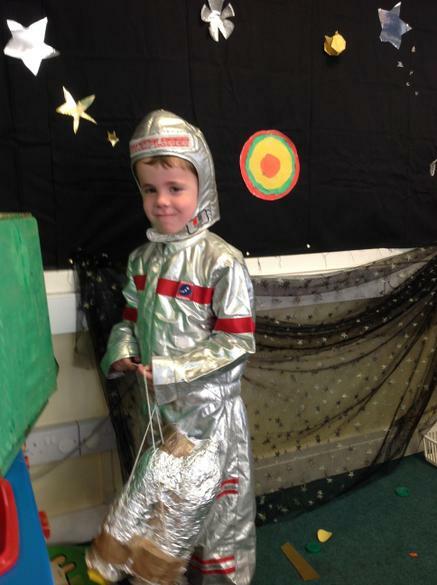 We are looking forward to Wednesday morning when we will be working collaboratively with Year 6 making 'Space' themed resources for our role play corner. We will be using our 'Rosie the hen' stick puppets to explore positional language. On the writing table we will be working on our pencil control and making a range of patterns to help our fine motor skills. In maths we will continue to explore numbers to 5 and representing them in different ways. We continue to learn our sounds and are working hard to use them to read and write. 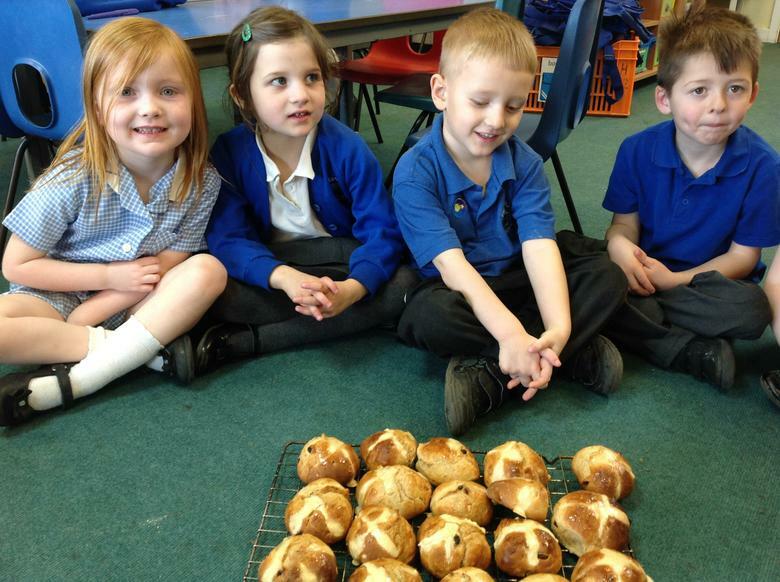 Have you seen our photo in Thursday 18th's edition of the Somerset Guardian? 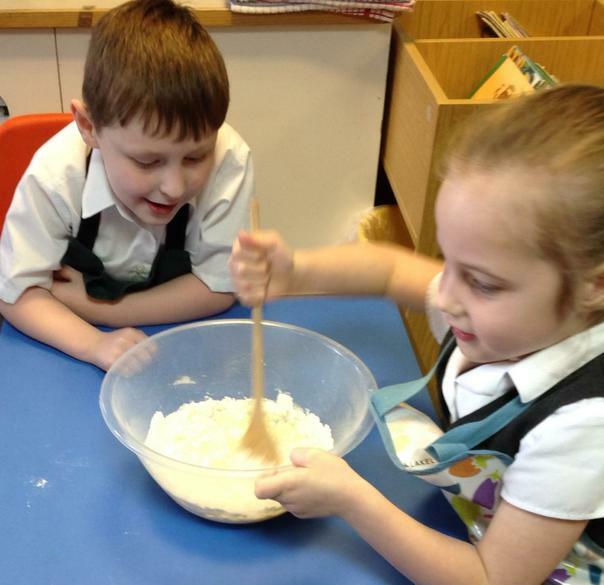 We have had another busy week in Buzzard class and continued to enjoy activities linked to Handa's Surprise. 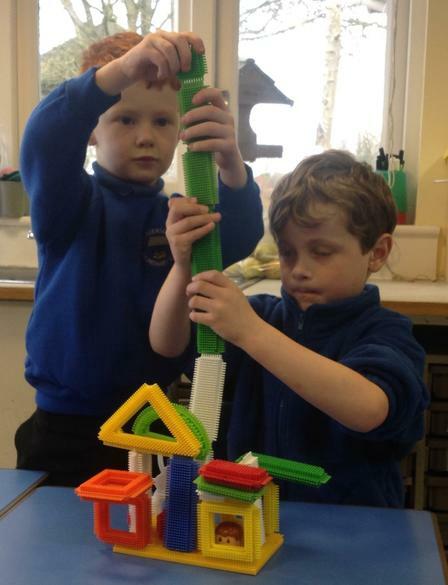 We are learning to work together, to be creative and solve problems. We are continuing to work hard on our pencil grip and pencil control and have explored a range of patterns. 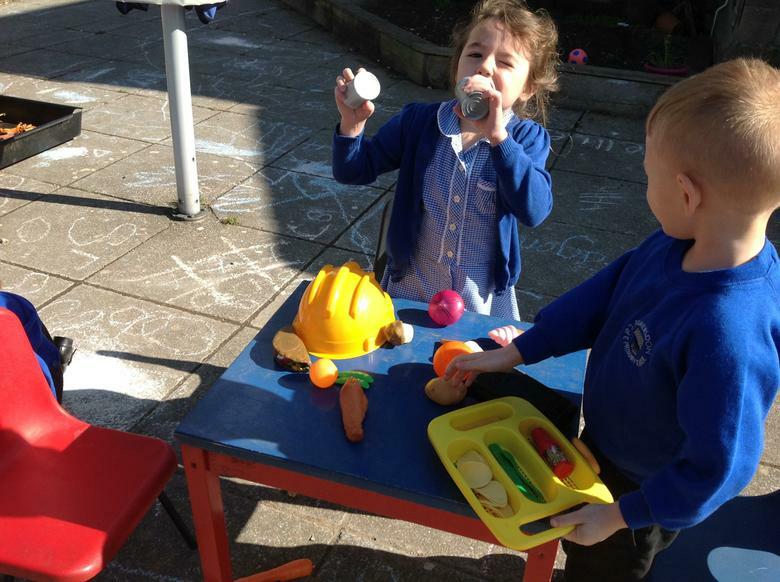 We enjoy our daily task on our 'Busy Fingers' table to help to build our fine motor skills. Fred the frog is helping us to blend our sounds to read words, and we have been trying hard to form our letters correctly. 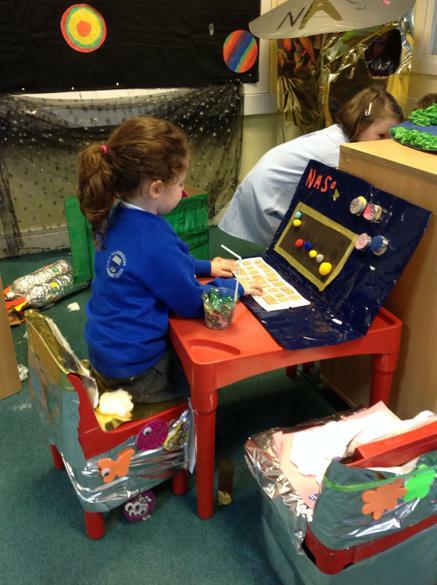 It has been great to see the children working on their sounds at home too! 1-10-18 This week our learning will be based around Handa's Surprise and Harvest festival. We are looking forward to walking to Friday's church service with our buddies! In Read Write Inc we will begin to learn how to use our sounds to blend and read words. We will be continuing to work on our pencil grip and pencil control. In maths we are going to be counting to and from 10, and learn how to do careful counting. We are also going to be introduced to Dojos! 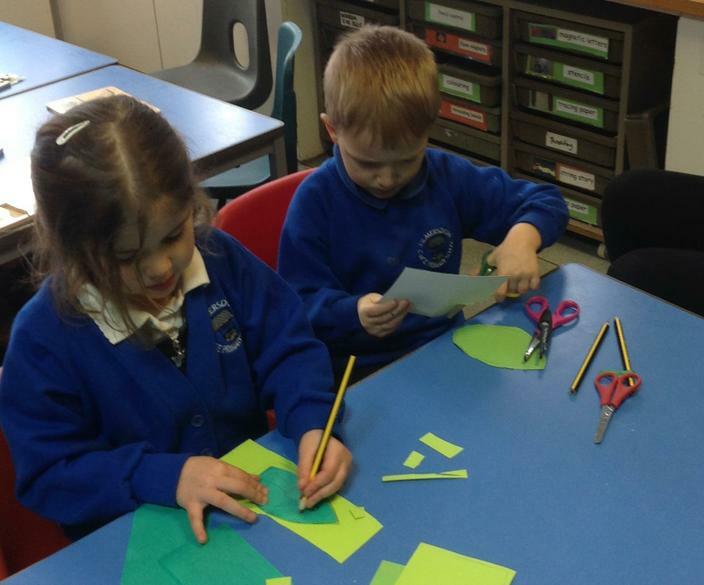 We made baskets for Kipper and used our scissor skills. 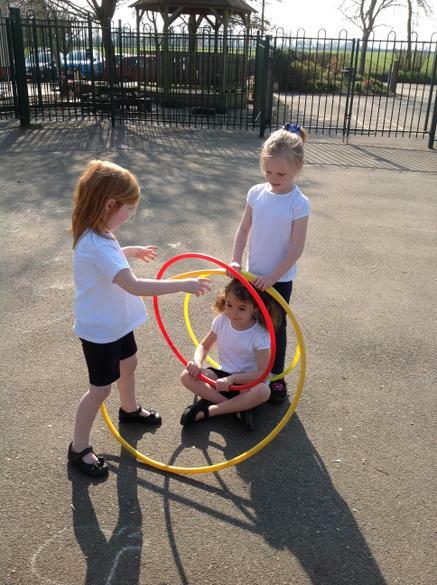 The children will be talking about their favourite toys in circle time. They will be drawing and writing about Kipper and have the opportunity to make Kipper a new basket using a range of different resources. 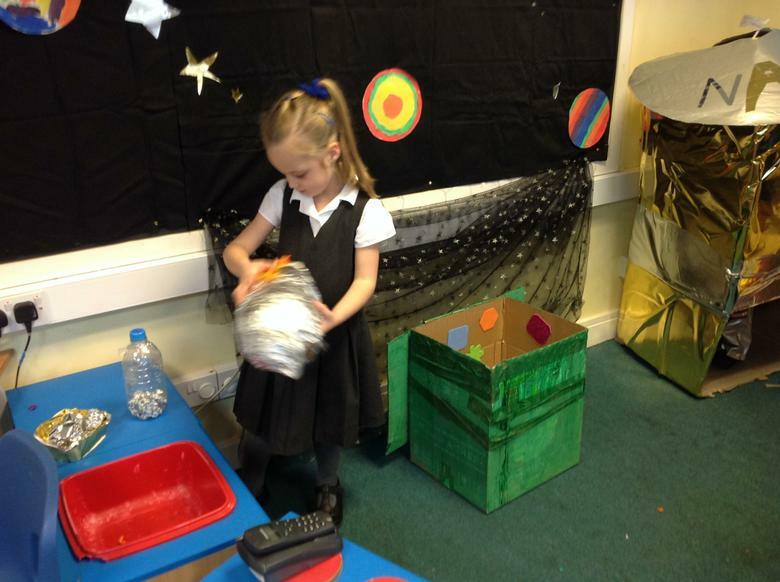 They will practise careful counting when they count the toys from a basket. 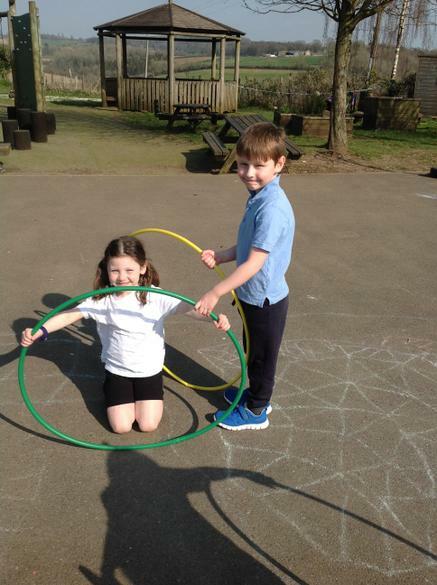 Buzzard Class have enjoyed meeting their Year Six buddies, they have enjoyed playing in the playground and sharing books together. 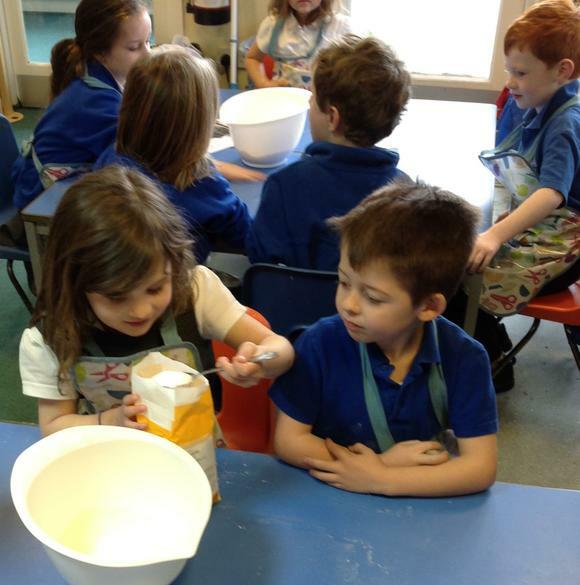 We are looking forward to lots more opportunities for sharing and learning together. 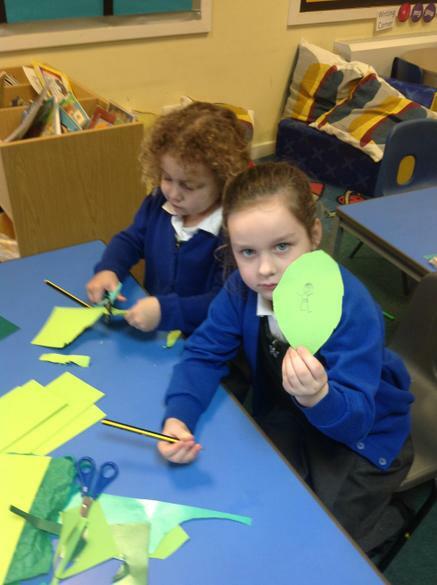 We are delighted with how well all the children have settled into Buzzard class. 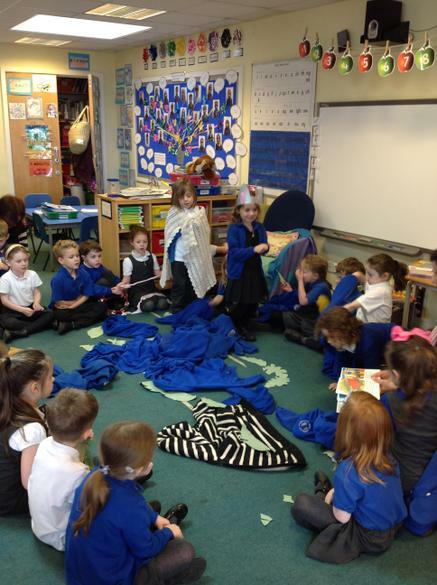 They are doing really well with organising their own bags, coat and water bottle and saying goodbye to their grown ups before settling on the carpet with a book. 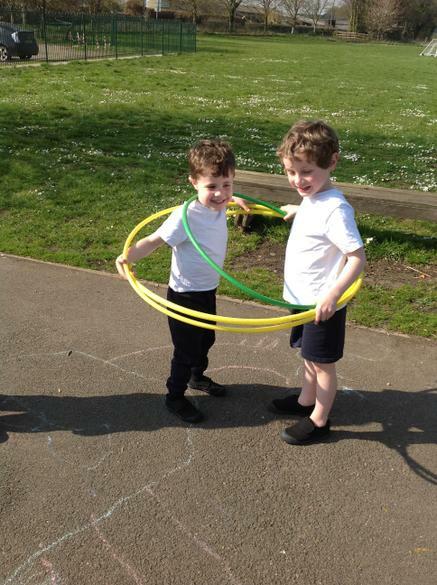 It has been lovely to see the children getting to know each other and making lots of new friends.